We examine this question in the context of technological shifts within the warehouse industry, as we examine whether businesses should invest in their own warehousing or simply pay a specialist to do it for them. Shall I do this myself or is it worth paying someone else to do it? We ask ourselves that question all the time - about cleaning the house, or washing the car, for example. Businesses ask the same question about their warehousing strategy, and the answer isn’t always apparent. Academic literature and supply chain studies are full of debates on the benefits and drawbacks of each approach. But we think advances in warehouse technology - and the benefits that follow across the entire supply chain - have shifted this debate firmly in favour of outsourcing. So, what do you need to weigh up? To start with, let’s think about the traditional arguments for investing in and maintaining in-house warehousing. 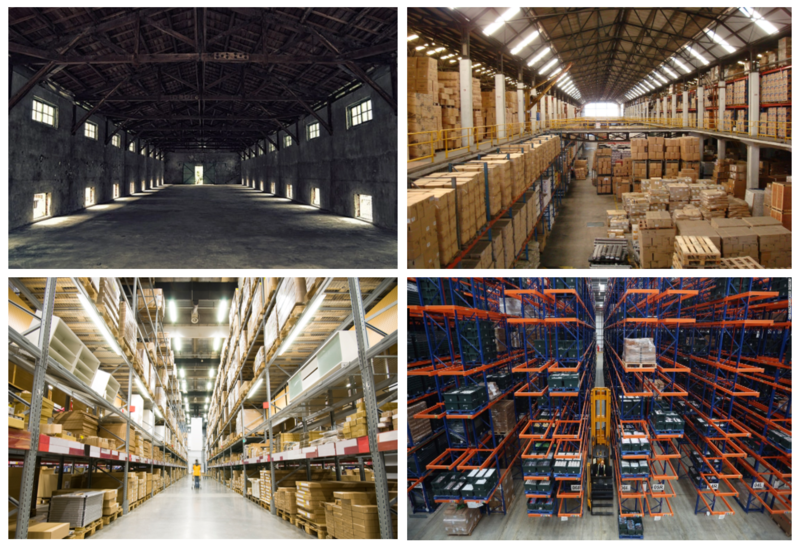 To start with, we will consider some of the traditional arguments for investing in and maintaining in-house warehousing, examining their validity. It’s clear that reducing the cost of warehousing can make your business more profitable. In certain sectors, like chemicals, the warehousing cost can be as much as 4 to 5% of total revenue. 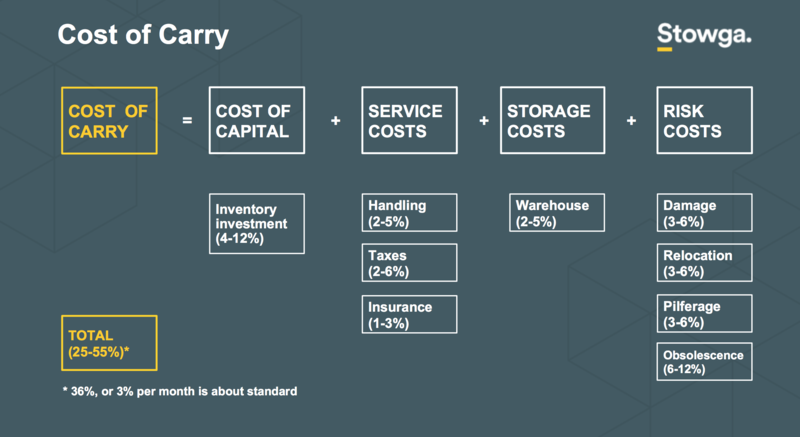 If you consider the overall costs of carry in a supply chain, as illustrated below, effective warehousing can minimise both service and storage costs, and risk costs in particular - which can be substantial. So an efficient, cost-effective and flexible warehousing strategy can become a serious competitive advantage in a sector like that. The most notable example is Amazon, who have an incredibly efficient logistics platform that has propelled them to be the top internet-based retailer globally, with sales of $136 billion in 2016. What does it take to get to that level of efficiency and dominance? Between 2010 and 2013, Amazon spent $13.9 billion on building 50 new warehouses across the globe, or an average of $278 million per warehouse. That’s because we’ve come a long way from over-sized sheds in which inventory was stacked up high. Reducing storage costs means optimising every last square foot. And that needs big technological investment. DHL too have spent millions of dollars. They’ve introduced augmented reality (AR) technology across their warehouse operations. Picking costs represent 60% of DHL’s total warehousing cost, and implementing AR in the warehouses has contributed to a 25% increase in worker efficiency, and a 40% reduction in errors. If warehousing and logistics are really a core part of your business - one that you hope to grow and develop into a market-leading operation - then it makes sense to invest big. If not, why not spend the time and money actually focussing on the more important aspects of your business, and leverage the capabilities of third party logistics providers (3PLs) to help you stay at the forefront of technological advances in warehousing? The concept of a warehouse has evolved from a large building with a solid roof to a “smart” building which tracks individual items, uses cutting-edge automation to cut labour costs, and generates data that helps you keep improving your processes. In the past, the bulk of the value of warehousing was the commercial real estate which it sat on, and as the value of land rose, the value of your “asset” increased. But in the future, it will be the technological capabilities within your warehouse that will be the major source of value. Whether a company can keep up with technological change will decide whether warehousing becomes an asset or, in fact, a liability. 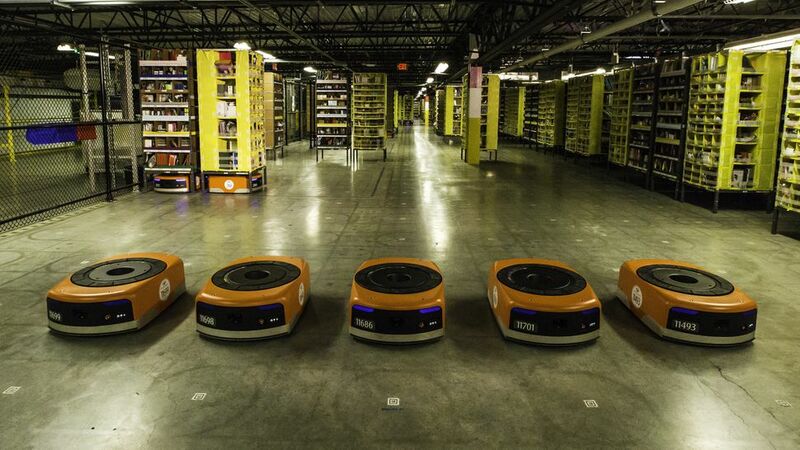 In 2012, Amazon spent $775m acquiring Kiva Systems, which became Amazon Robotics. It now has 30,000 small robots across its warehouses, picking items from containers and transporting them around the warehouse. Deutsche Bank has estimated that if Amazon implemented the technology across all of its fulfilment centres, it would provide an annual saving of $22bn. UPS spent $2.2bn on its WorldPort Facility in Kentucky, which includes over 155 miles of conveyors and can process 416,000 packages per hour - the largest facility of its kind in the world. UPS are also spending more than $1bn a year on “intelligent logistics”, and have made investments in drone technology to increase automation even further. The combination of these economies of scale and the level of technology in these operations have reduced delivery and storage costs across the globe, and created same-day delivery across a number of products. So it’s important to consider whether buying a long-dated warehouse lease is really an investment Or, if your competitors can tap into these billion dollar investments in technology at the click of a button, and you can’t – is it a liability? Owning the end-to-end process in an industry is something many companies strive for, because it means they depend less on other firms. But there’s no doubt that when it comes to warehousing, there’s a trade-off between autonomy and efficiency. Advances in WMS (warehouse management systems) and tracking hardware mean it’s now more possible than ever before to really have oversight of your inventory. For instance, using the latest hardware in cargo tracking and surveillance means a company can have real-time updates on its cargo all the way from a factory in China to a warehouse in the UK. RFID (radio frequency identification) lets businesses have real-time updates on the exact quantities of their inventory and locations of stock, as well as generating valuable data to help improve business processes. Yes, you’re still relying on an external provider. But maybe the cost savings, data collection, inventory accuracy and expertise make it worthwhile. Now let’s look at some of the other advantages of outsourcing your warehousing to 3PLs. One of the main advantages is the ability to respond to dynamic trends. We’ve talked about the concept of a bi-modal warehousing in more detail in a previous post. The bottom line is, in an uncertain environment, every business should have an element of flexibility in their warehousing strategy. That means being able to scale up the business effectively, including internationally, but also being able to “turn off” capacity you’re not using. It also means not having significant amounts of money invested in one place, so you can respond to new consumer trends and choose your storage locations based on demand. And warehouses aren’t standalone operations, either. Much of their efficiency depends on their ability to transport and distribute goods around the country. So being part of a large warehouse and distribution network allows businesses to benefit from network effects and strong relationships, built up over many years, which translate into lower shipping and distribution costs. How many young millennials own cars, versus rely on Uber? How many couples own holiday homes, versus use Airbnb? How many people own music collections, versus subscribe to Spotify? Just as technology is moving us from ownership to the experience economy in our personal lives, technology means businesses are moving from the ownership model to leveraging external expertise. We’re willing to bet the same trend will sweep the warehousing industry. It comes back to the old business adage, “Master your strengths, outsource your weaknesses.” Focus on your core business and tap into flexible, on-demand, high quality warehousing solutions when, where, and how often you want. 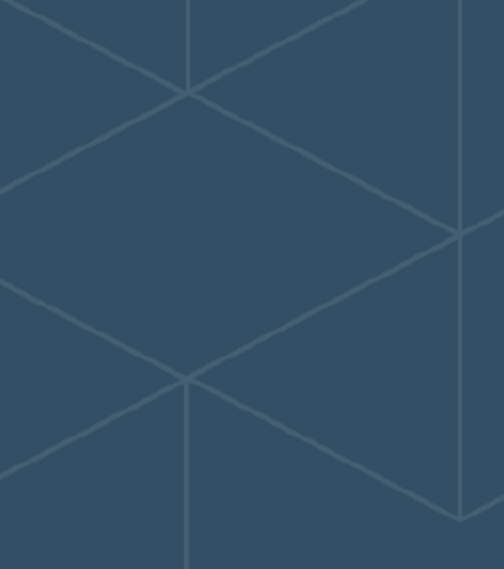 We’re connected to over 4,000 sites across the UK and would love to talk to you about potential solutions for your business.